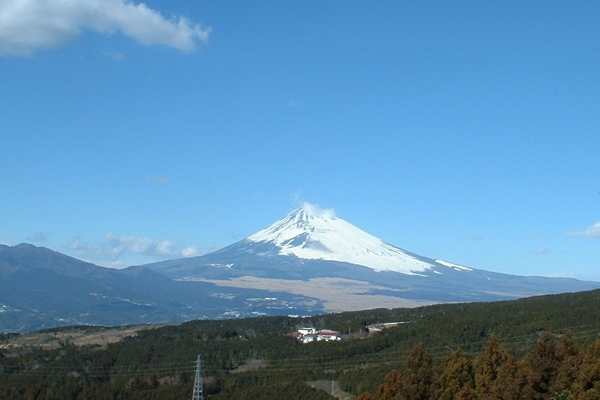 A World Heritage Site and the tallest mountain in Japan, Mt. Fuji’s beautiful countenance can be seen from Mishima. And, that countenance changes with the seasons – so, why not find your favorite viewing spot, to enjoy a majestic view of Mt. Fuji! Enjoy a dramatic panoramic view of Mt. Fuji. From the fort ruins you can get an impressive view of authentic nature, starting with Mt. Fuji and Suruga Bay. This is the perfect photo spot for snapping the reflection of Mt. 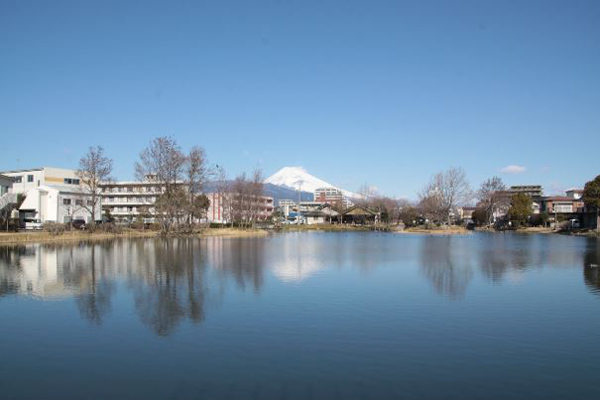 Fuji on the water. 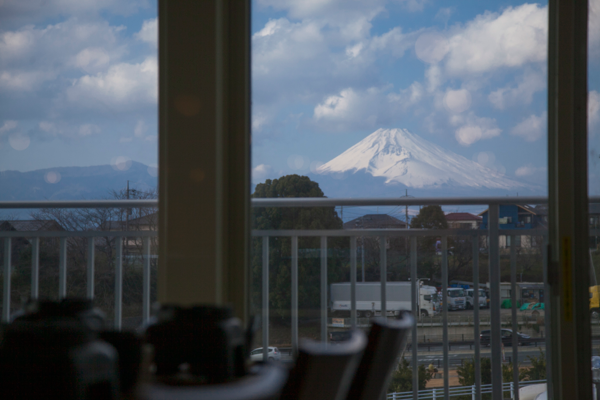 The second-floor restaurant offers a beautiful view of Mt. Fuji. You can even see Mt. 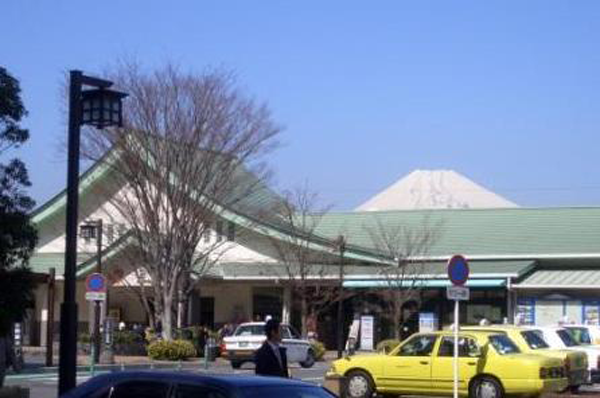 Fuji by Looking out from Mishima Station South. Head here if you want to get an even closer view of Mt. Fuji. For those of you wishing to go to Mt. 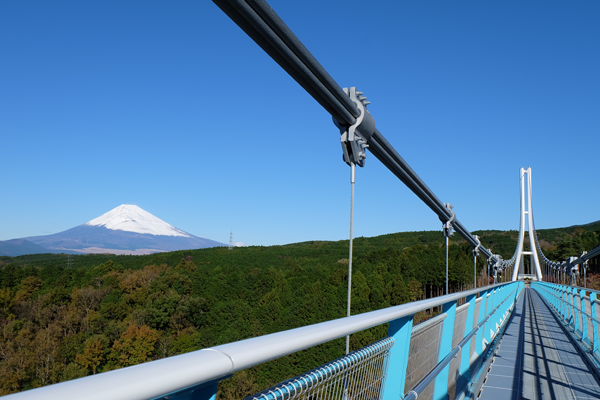 Fuji, the Fujikyu City Bus will take you directly up to the 5th station at Fuji-Miyaguchi. *This bus service is limited to the summer season.